A partir del sábado 15 de diciembre ha vuelto a abrir sus puertas al mediodía para dar comida, como se hacía desde 1931 hasta 1977. 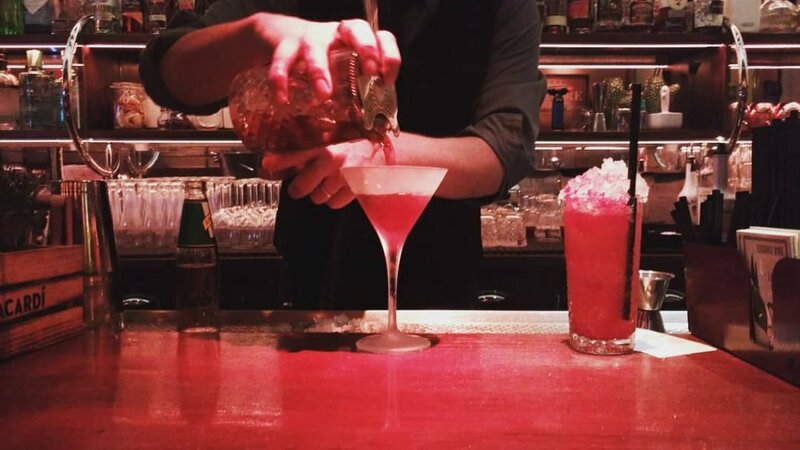 Museo Chicote es uno de los sitios más representativos de la Gran Vía de Madrid que aún sigue igual desde que Perico Chicote en 1931 fundó este histórico bar “para mezclar bebidas, vidas y opiniones… para que opiniones, vidas y bebidas convivan” y donde no solo se bebe sino se come bien. Ahora, después de más de 40 años, el templo de la coctelería se convierte en el protagonista de los mediodías de la Gran Vía de la mano del Chef Luis Miguel Moreno (chef del restaurante Diurno) que también toma las riendas de este local. El plato es único y se trata del ENTRECOT BISTROT DE PARIS, una exquisitez de corte tradicional y con toques cosmopolitas, que se podrá pedir a partir de las 13h y hasta las 23h, acompañado con patatas y una salsa a elegir. Aunque pueda parecer raro y hasta poco probable como concepto, no es nada nuevo en el mundo de la gastronomía que, como ya sabemos, no tiene limitaciones y no para de causar sorpresas. Es verdad que para las llamadas carnes rojas, lo que mejor combina es el maridaje con el vino tinto, o la cerveza, pero la de acompañar la carne con los cócteles es una tendencia que ultimaménte ha cogido fuerza en algunos de los mejores restaurantes de todo el mundo, desde Londres hasta Las Vegas. Ahora en Museo Chicote será posible experimentar la sensación de maridar un buen entrecot con uno de los cócteles que han hecho famoso a este local de la Gran Vía. Pero también es posible maridarlo con vermuts ya que Museo Chicote cuenta con una barra de vermutería donde se pueden tomar los vermuts Yzaguirre Blanco, Rojo, Rosado y Vintage. 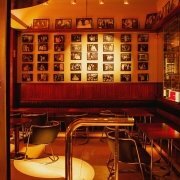 Todo ello, respetando el legado de un local que contribuyó a engrandecer la fama nocturna de Madrid, sin perder el glamour, la exquisitez, la esencia y la decoración que conquistó a las grandes estrellas del cine internacional. The first and only time I’ve been to real Korean Restaurant it was in 2015 at the EXPO in Milan. The Korean pavilion had this huge restaurant, with a super clean design and the perfection of the Korean most representative food like Kimchi and Bibimbap. 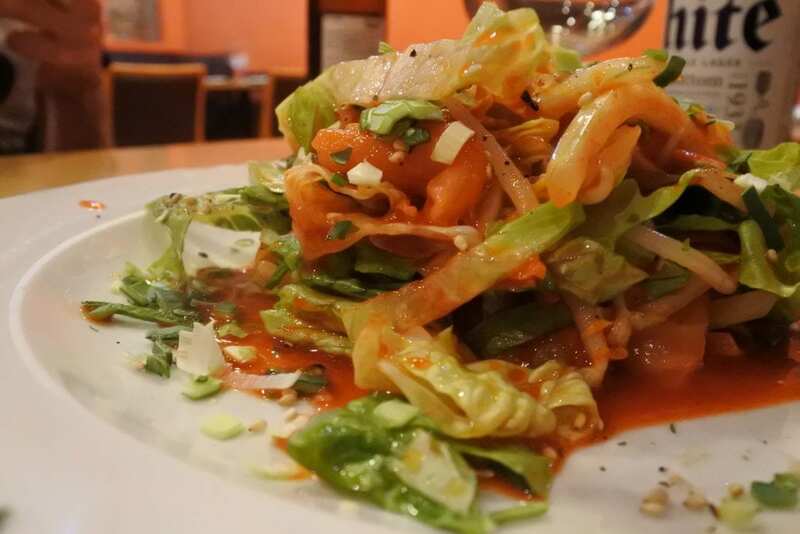 Kimchi is the top of mind korean food made from salted and fermented vegetables, most commonly napa cabbages and Korean radishes, with a variety of seasonings including chili powder, scallions, garlic, ginger, and salted seafood among others. 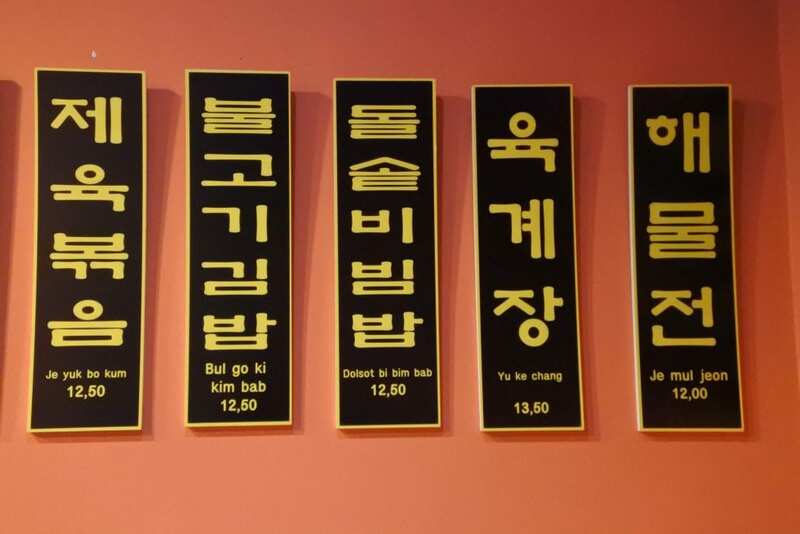 When I went to EXPO in Milan I was lucky enough to have my dearest friend, who lived in Seoul, with me, so that he could help me chose and explain how to eat in the original Korean way. 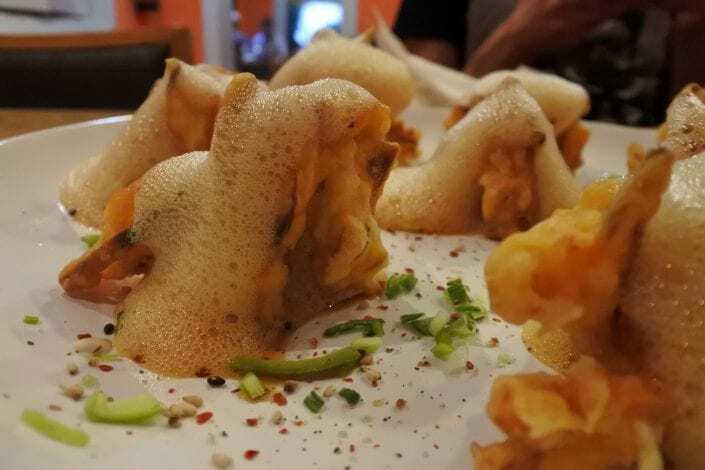 Now that I’ve discovered a real Korean and Japanese restaurant in Madrid I can’t wait to have my friend visiting to experience together this amazing cuisine. The restaurant as you might have read in the title is Restaurante Maru, located in Calle Reina, I mean actually it is almost in Granvia. Even if a lot of asian oriental restaurants have decided to conform their style to the modern ultra chic and futuristic contemporary style, I saw in Maru more originality with a traditional atmosphere than in all the hype restaurants of the city, that in the end doesn’t let you feel like you are in truly Korean restaurant. In Maru from the entrance to the seat you can feel that you could even been in Seoul or any other city in Korea, or even in Japan, because you can also taste Japanese food. 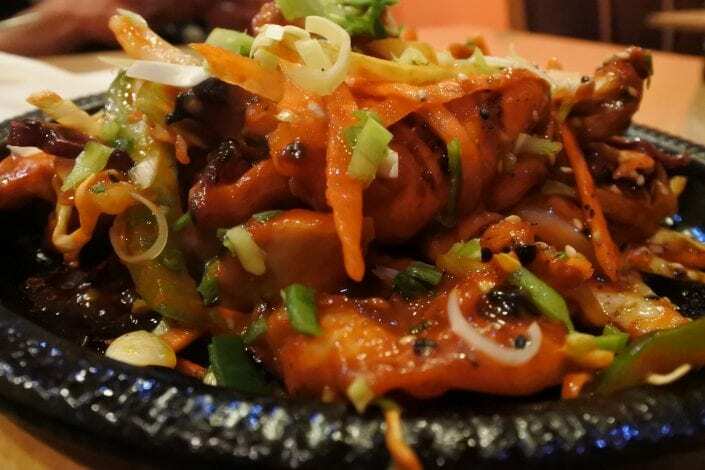 Like the famous Korean barbecue that is incorporated as a grill on the table, so that the dishes are actually cooked on the table. Maru restaurant has a extremely variegate menu, meat, fish and vegetables. 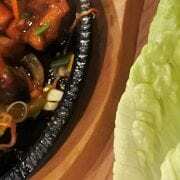 As I could see the dishes are always accompanied by a mix of proteins and vegetables, it’s a very complete meal. While I was deciding what to try I was already eating the delicious mini starter served with the drinks, kimchi was already in. 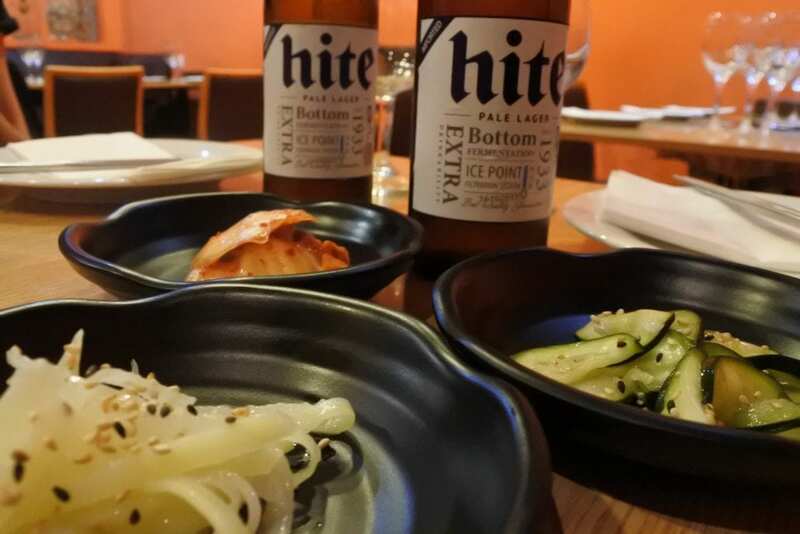 I decided to pair the dinner with a Korean beer, because I wanted to make a full immersion in the culture and tradition of Korea, also because between the restaurants guests there were a lot of asian people, so that I could truly feel I was dining in Korea. The Restaurante Maru’s menu offers lots of option, Bibimbap and the barbecue are of course the star dishes, but there are also interesting tempura, healthy salads and much more. Here is my starter, a lettuce salad with salmon, carrots, cucumber, bean sprouts and onion. A very fresh delicious start. I would love to have a soup but from May to early October it is quite impossible for me to eat a soup, I only did when I lived in London. Then we went for two different main courses, the prawn tempura and the chicken drumsticks sauteed, which was served with lettuce leaves that was supposed to be used for creating rolls. There was also an additional spicy sauce that could be mixed with the chicken after fulfilling the lettuce leaf. I thought this was a particular way to try Korean food and I loved it so much, the fresh crispy lettuce perfectly matches with the crunchy dish. Totally suggested. 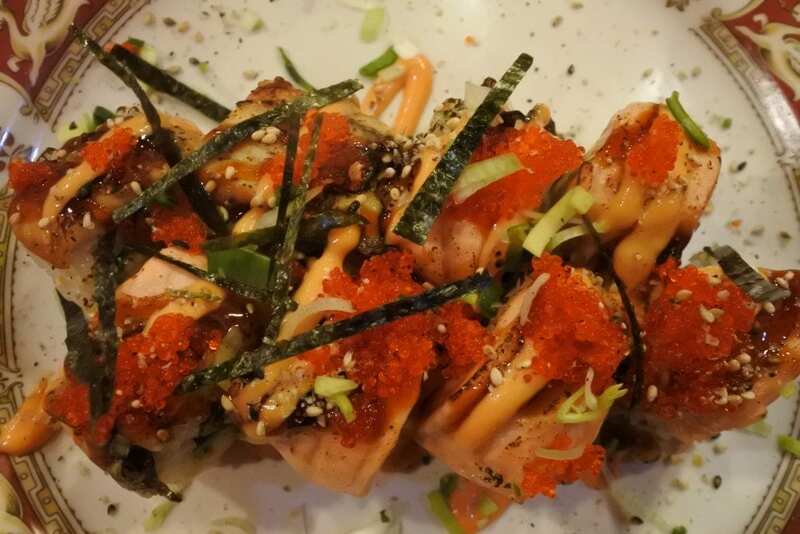 As all the pictures we have seen about the uramaki were very inspiring, we also wanted to try them, so we got the salmon and avocado inside, with salmon and eel flambè with tobiko eggs on the top. 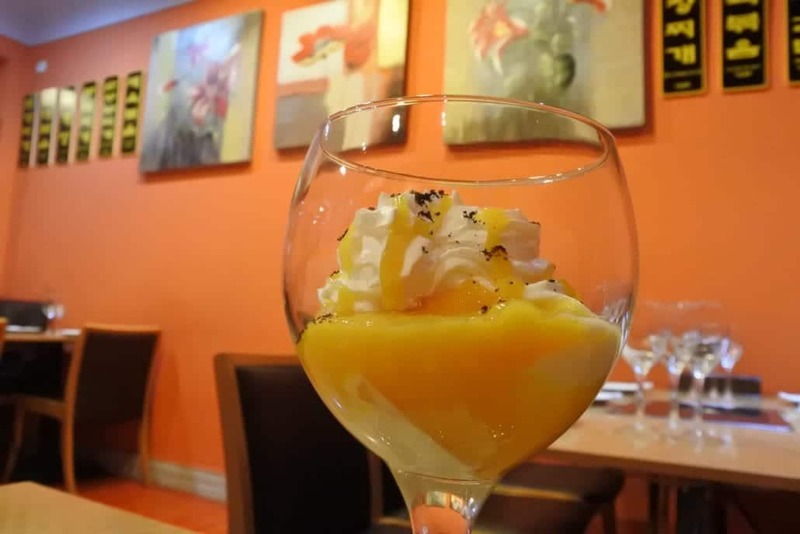 The perfect end of this amazing dinner was the mango mousse, if you love mango as I do we will think that this is the greatest mango dessert you’ve ever tried. More information: Restaurante Maru, Calle Reina 37.